Koletsos N, Dipla K, Triantafyllou A, Gkaliagkousi E, Sachpekidis V, Zafeiridis A Douma, S, et al. Diastolic reverse dipping pattern is the predictor for the echocardiographic changes in the untreated masked hypertensive patients. Li J, Cao Y, Liu C, Li J, Yao F, Dong Y, et al. Am J Hypertens. 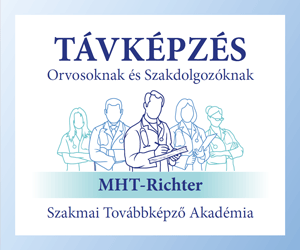 Előzetes elektronikus közlés: 2019. március 21. doi: 10.1093/ajh/hpz041. Role of Coronary Artery Calcium for Stratifying Cardiovascular Risk in Adults With Hypertension. Uddin SMI, Mirbolouk M, Kianoush S, Orimoloye OA, Dardari Z, Whelton SP, et al. Hypertension. 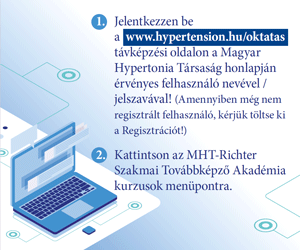 Előzetes elektronikus közlés: 2019. március 18. doi: 10.1161/HYPERTENSIONAHA.118.12266. Louis Potier, Ronan Roussel, Gilberto Velho, Pierre-Jean Saulnier, Anisoara Bumbu, Odette Matar, et al. J Amer Coll Cardiol 2019; 73(9), Supplement 2, DOI: 10.1016/S0735-1097(19)33774-X. 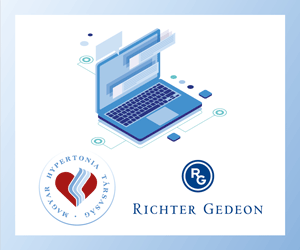 Elektronikus közlés. Adrian V Hernandez, Erin E Emonds, Brett A Chen, Alfredo J Zavala-Loayza, Priyaleela Thota, Vinay Pasupuleti, et al. Blood Pressure Control and Cardiovascular Outcomes in Patients With Atrial Fibrillation (From the ORBIT-AF Registry). Vemulapalli S1, Inohara T2, Kim S2, Thomas L2, Piccini JP2, Patel MR, et al. Am J Cardiol. 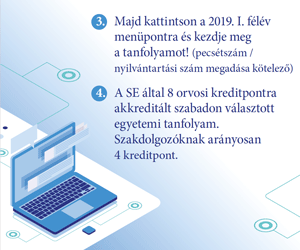 Előzetes elektronikus közlés: 2019 Feb 23. doi: 10.1016/j.amjcard.2019.02.010.